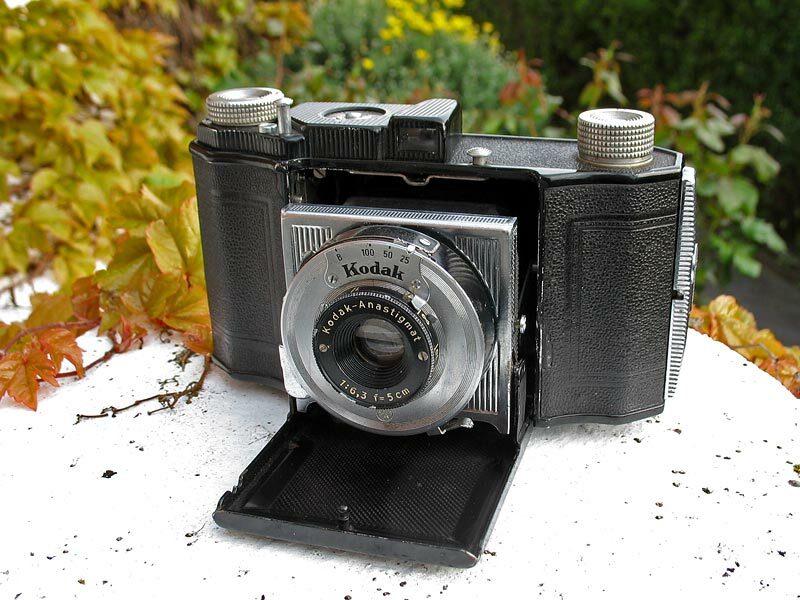 This was the first Retinette model from Kodak, and was made around 1939. It was quite unlike the Retina models in appearance, the body was larger, with the front 'door' opening downwards rather than to the side. Rather than the whole lens/shutter assembly moving on a helical as with the Retina I models, the lens was of the front-cell focusing type. 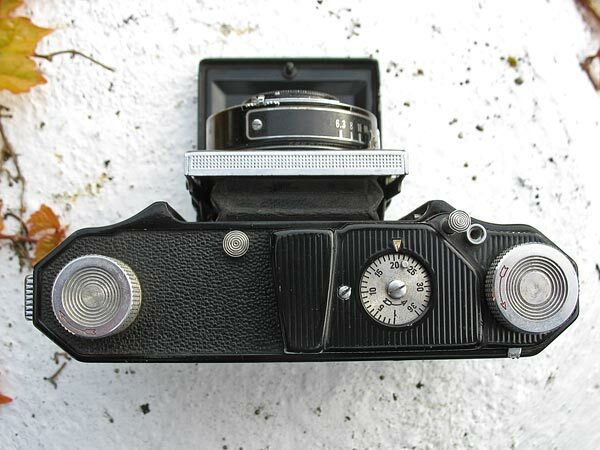 The camera had an unusual shutter release mechanism, the shutter release button on the top cover dropped down close to the cover whenever the front 'door' was closed, and popped back up into the working position when the camera was reopened. Unfortunately this feature required a complicated arrangement of levers, which never worked reliably even when new. As a result the cameras are very rarely found with a complete body-mounted shutter release mechanism, most have long-since had the coupling arms stripped out to allow the shutter to be tripped with the release on the shutter itself. This model was fitted with a Kodak-Anastigmat 5cm f/6.3 lens in a Gauthier shutter with speeds of 1/25 to 1/100 second plus B.